Who is your পছন্দ couple? Are disappointed that ডিজনি remove Woody's প্রণয় Bo Peep in Toy Story 3? Do আপনি think Ken deserves Barbie? 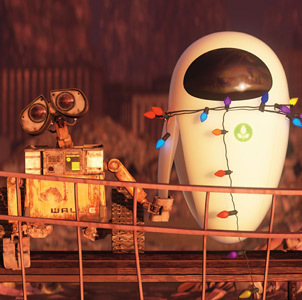 Your পছন্দ WALL-E and EVE Picture? Which first meeting do আপনি like best? Will Merida have a প্রণয় interest? a comment was made to the poll: Who is your পছন্দ couple? a comment was made to the poll: Do আপনি think Ken deserves Barbie? a comment was made to the poll: Woody & Bo Peep অথবা Buzz & Jessie? a comment was made to the poll: My শীর্ষ 3 Couples: your favorite? a poll যুক্ত হয়ে ছিল: Woody & Bo Peep অথবা Buzz & Jessie? Which of these characters are not lovers?